I have really taken a liking to skillet meals, for a variety of reasons, one being that they can be ready in 30 minutes. 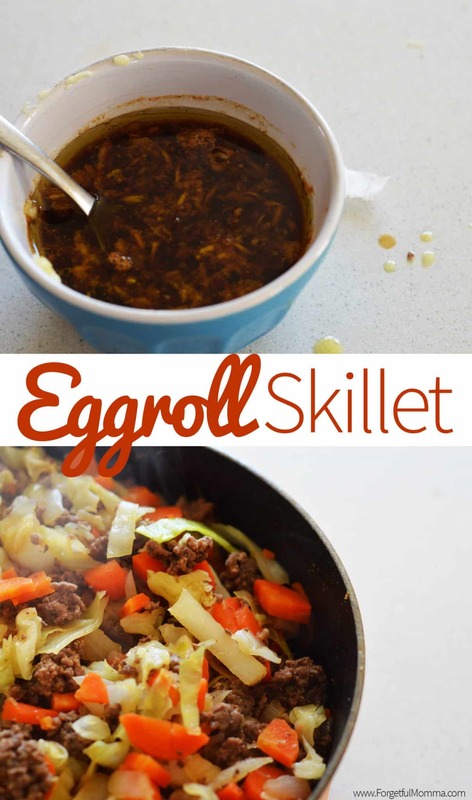 This eggroll skillet is no different. From the time I started browing my ground beef to the time I took it off the burner was no more than 30 minutes, making it perfect for busy days when I have forgot to meal plan. My reason for loving skillet dinners now aren’t just because I tend to forget to meal plan, but also because they have less clean up like our burrito skillet. If you like eggrolls, you are gonna love this! It makes me want to make actual eggrolls too, but since they are too much work, this is the next best thing, and delicious. Start by browning your ground beef (or pork) with some diced onions over medium-high heat in a deep sided pan with a lid, or a large pot if that’s what you have. While that is browning cut up half a head of cabbage and dice a few carrots. Simple so far, and that’s how it stays. Once your ground beef (or pork) is cooked, drain fat return to medium-high heat. Add in your cabbage and carrots, cover and let be for about five minutes. While your cabbage and carrots are steaming mix together your garlic, soy sauce and vinegar. 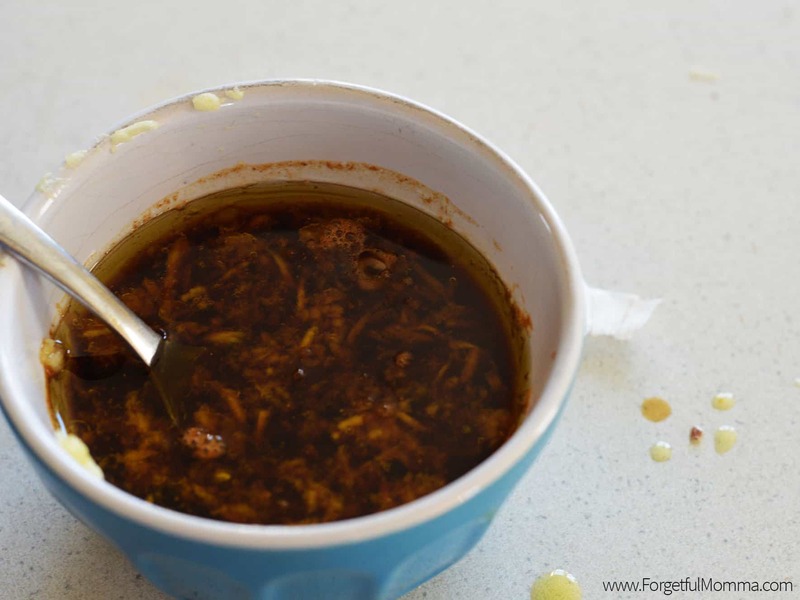 Once the carrots and cabbage are tender pour the garlic mixture over everything, and mix it well. Let it simmer for a few minutes and then it is ready to be served. 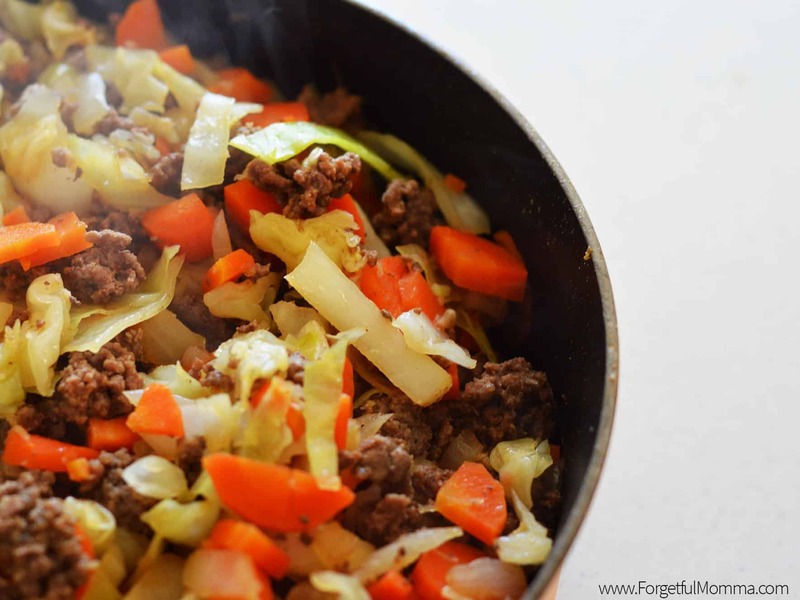 I served our eggroll skillet over a bed of rice but it would be great with pasta or nothing. The kids and I added a little plum sauce to the top of ours as we would with an actually eggroll, but hubby did not. Start by browning your ground beef (or pork) with some diced onions over medium-high heat in a deep sided pan with a lid, or a large pot if that's what you have. While that is browning cut up half a head of cabbage and dice a few carrots. Simple so far, and that's how it stays. 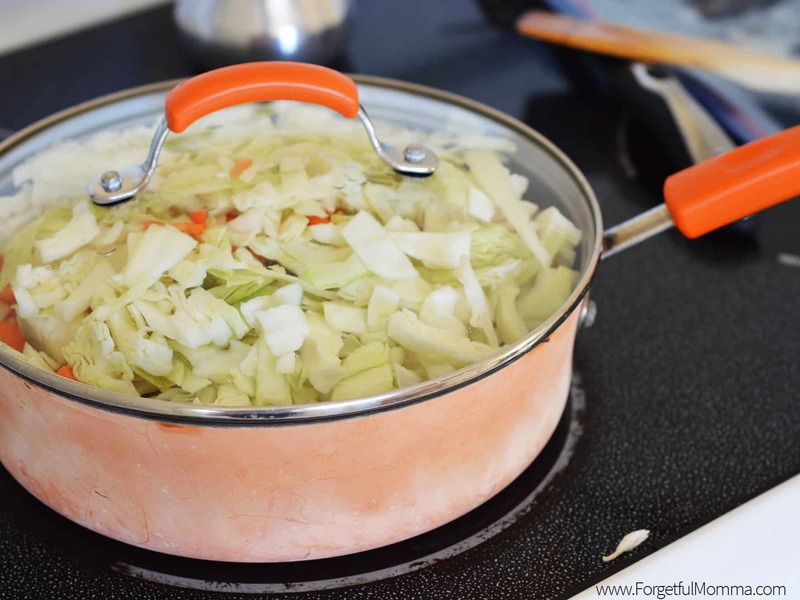 Once the carrots and cabbage are tender pour the garlic mixture over everything, and mix it well. Let it simmer for a few minutes and then it is ready to be served. This is my favorite. Simple yet delicious. It is like my everyday comfort food. This is definitely a must for everyone. 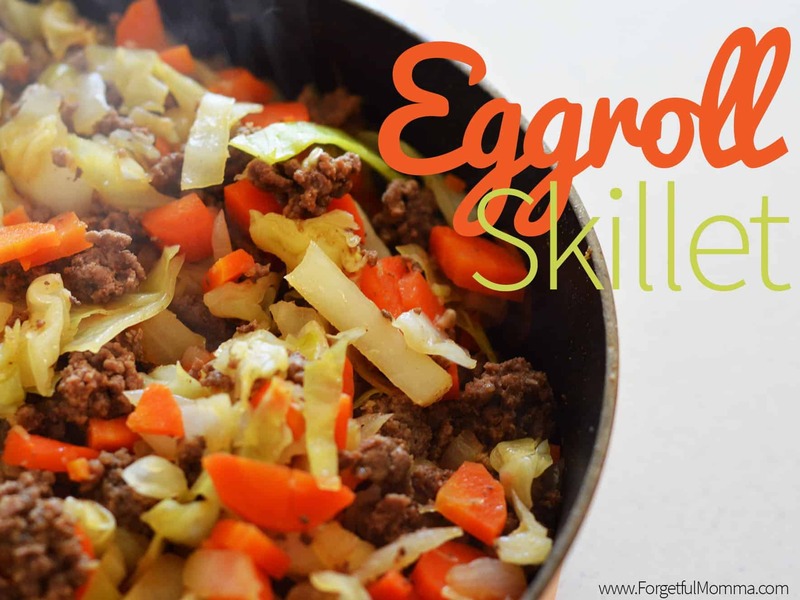 Thank you for sharing this eggroll skillet recipe.